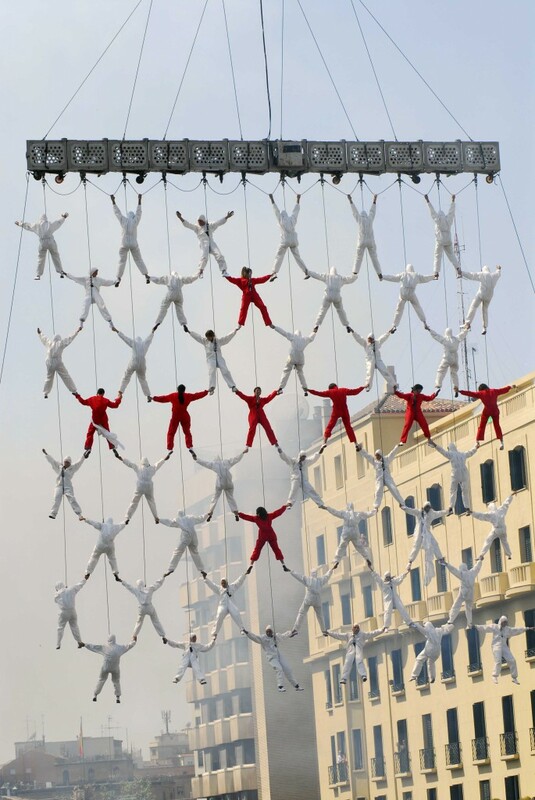 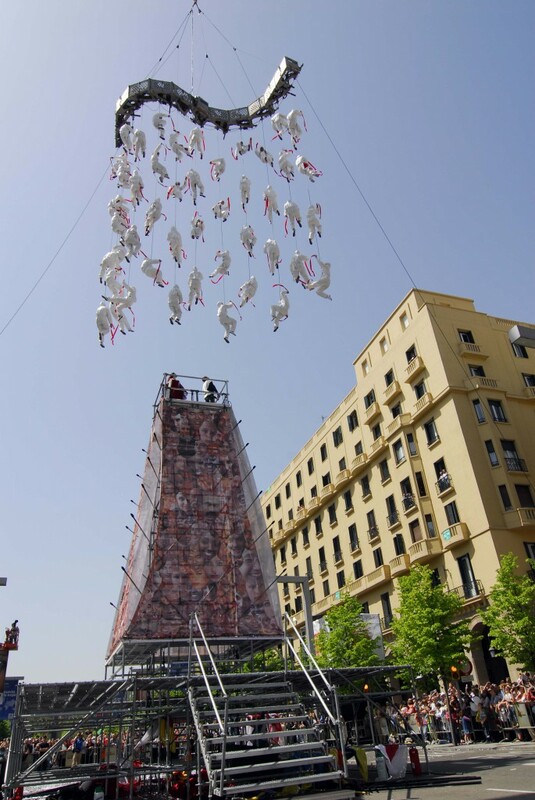 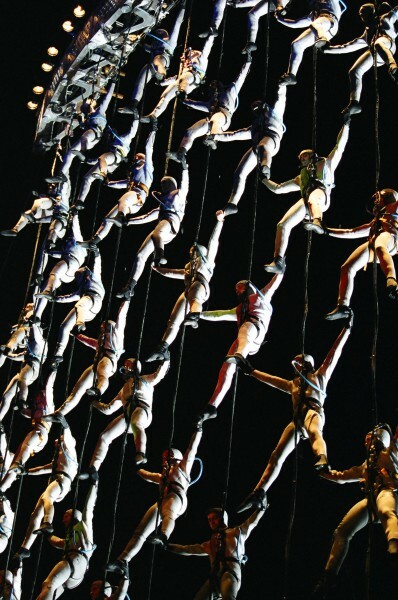 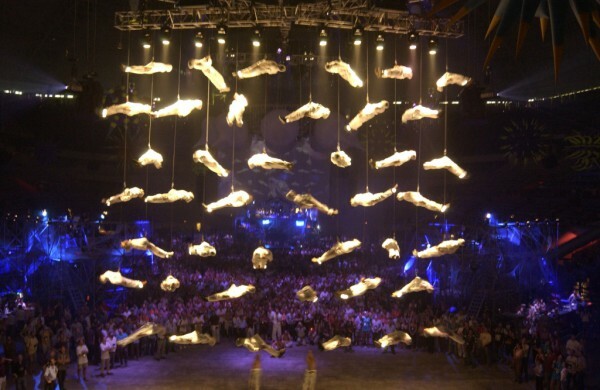 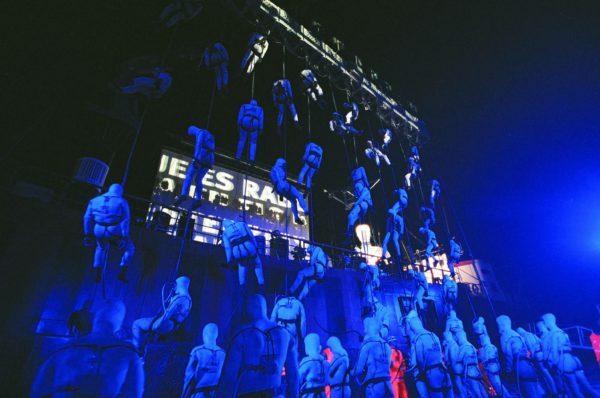 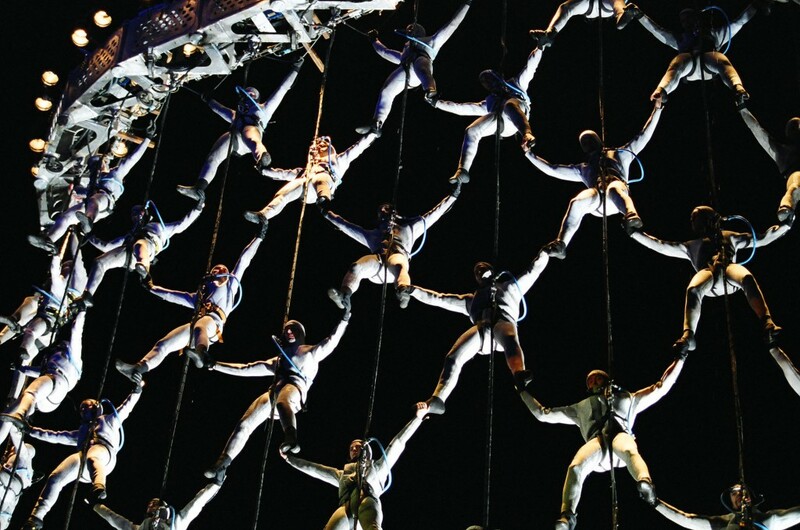 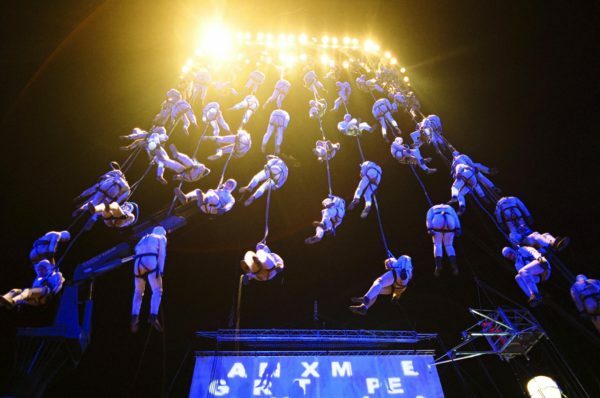 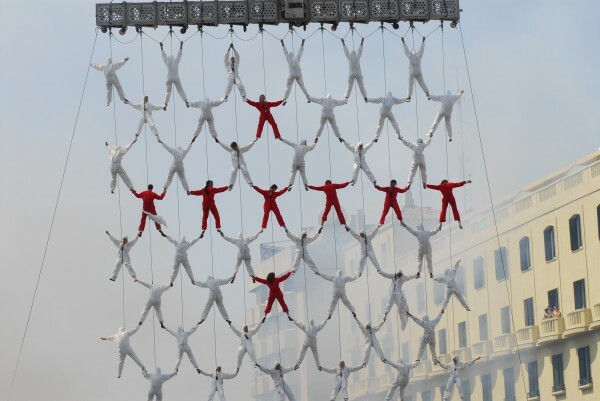 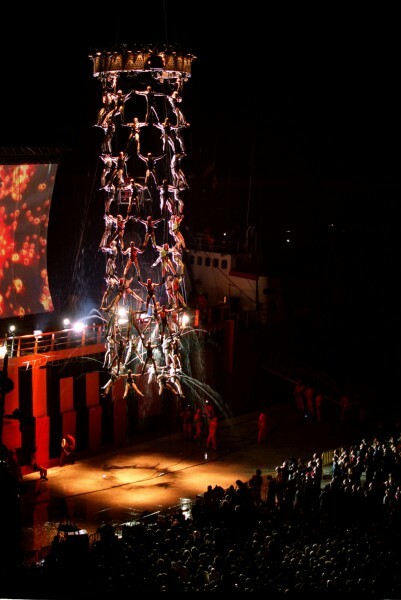 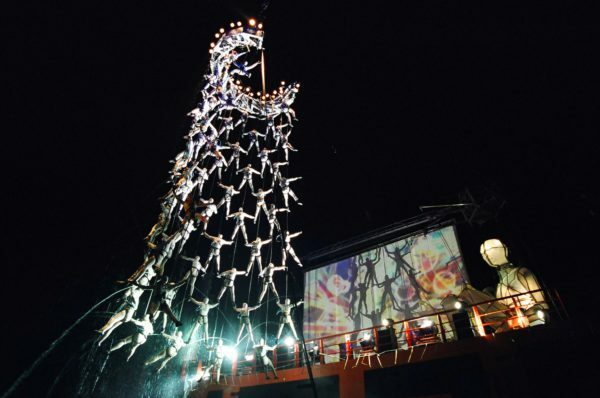 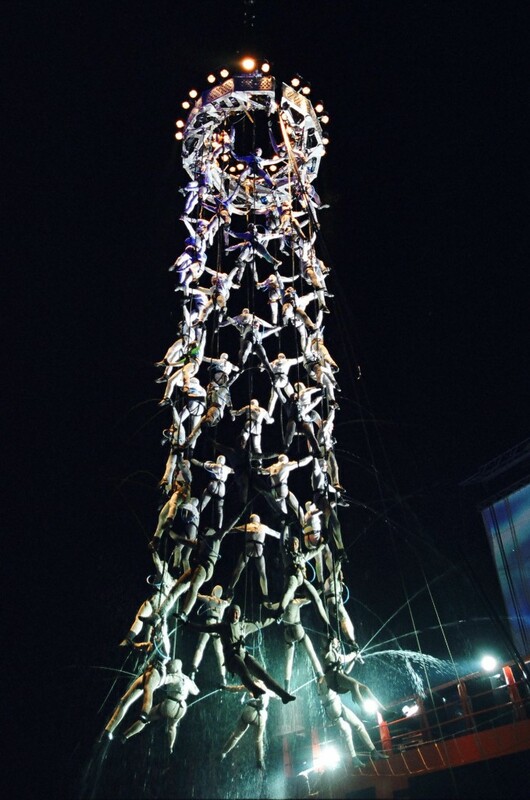 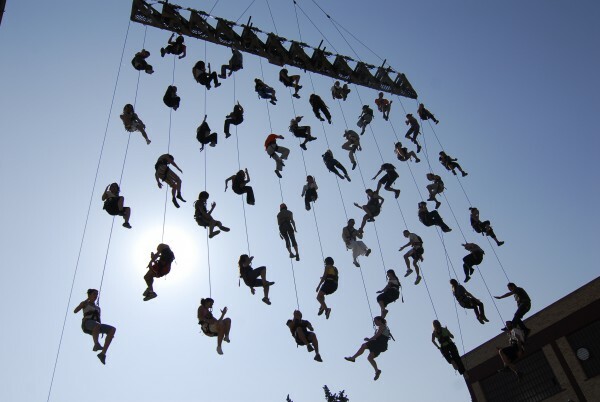 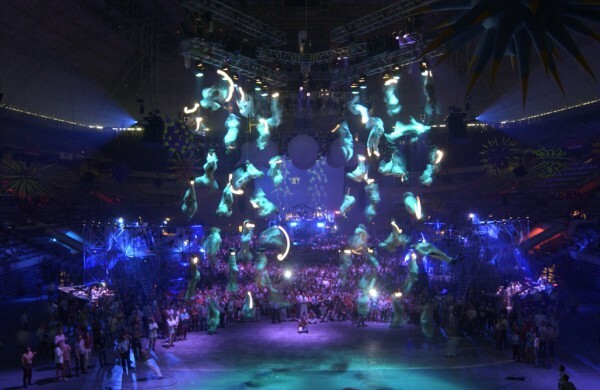 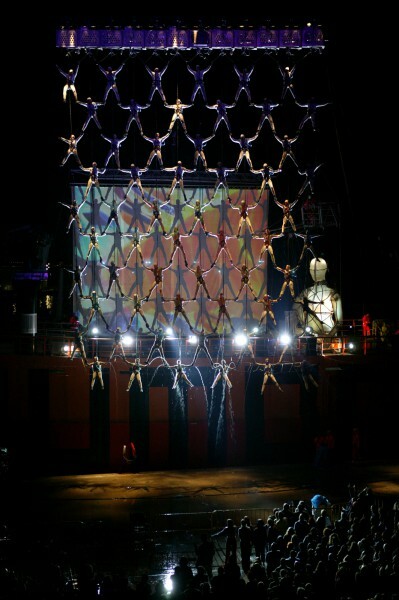 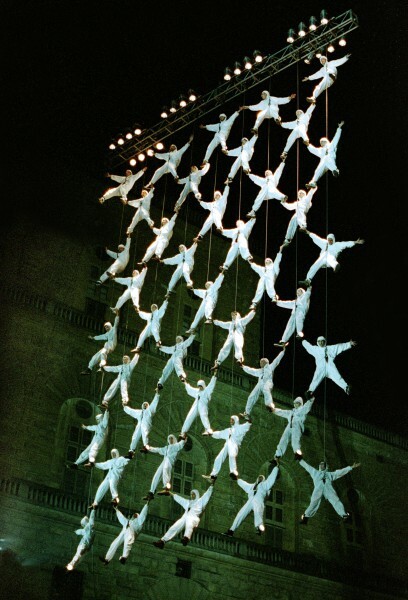 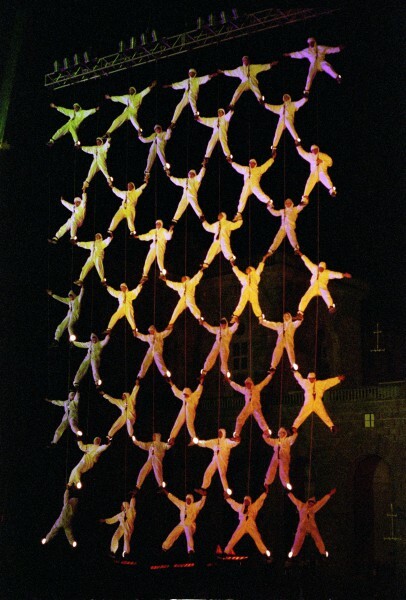 The Human Net is the name La Fura dels Baus has chosen to refer to a theatrical element capable of generating aerial choreography in which a large number of participants are involved. 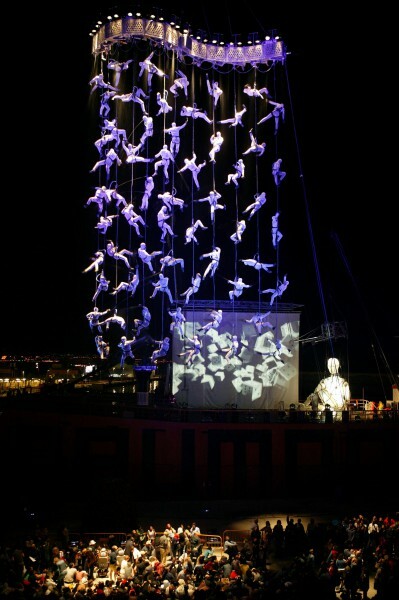 The Net is based on a steel beam suspended from a crane. 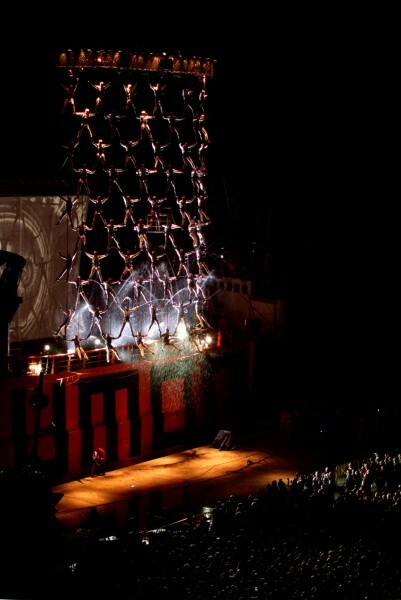 It is capable of forming different figures by hydraulic pistons. 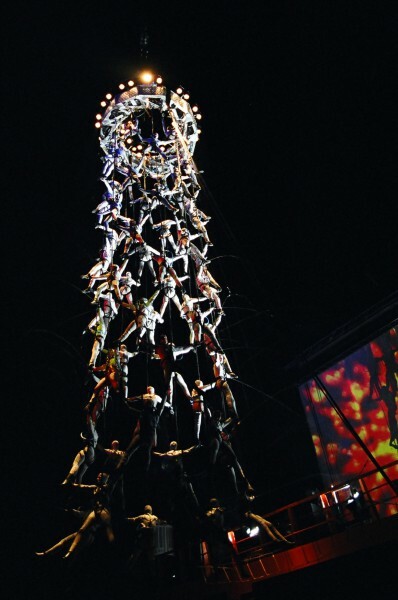 The spectacularity of this element is defined by the different possibilities of transformation and evolution of the actors hanging from it. Thus, from the point of view of the viewer, the Net offers a full impact, is the result of the mechanical and the gestural part, proposes an elaborate metaphor that has to do with the reunion, with the complementary, the sum of efforts, with all the human structures that we represent as a net and a connection (genome, nerve tissue, union, participation, etc). A team of Riggers manipulates the net’s movements in space. 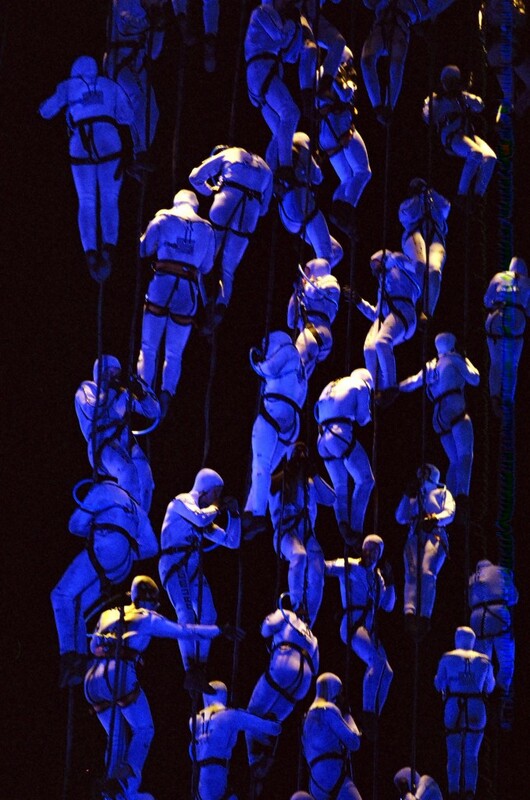 They are specialized technicians who are also part of the staging. The 42 participants and the soundtrack is the fundamental part of this amazing show that has already been around the world.